Now that Indiana (who just turned one!) is totally mobile and eating everything in sight, the rest of my kids have taken a keen interest in beading. Of course they have. It’s tough to find beads that have a big enough hole for them to string without a needle and aren’t awful and ugly (instead of a needle, I’m a big fan of masking tape wrapped around the end of a piece of cotton twine). 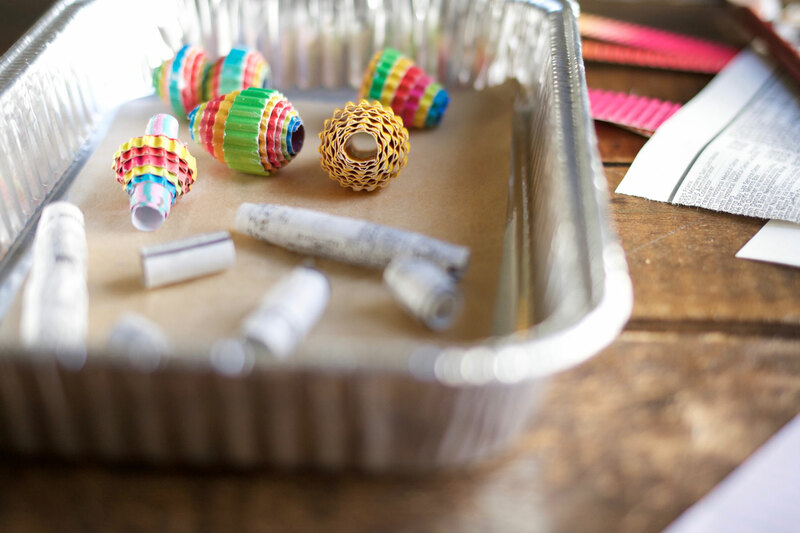 Paper beads are the perfect solution to this – the holes are as big as you make them, the beads are big enough to see and pick up before the baby does (usually), and they make great use of old paper. We usually make a batch when my stack of “creative recycling” starts to overflow. 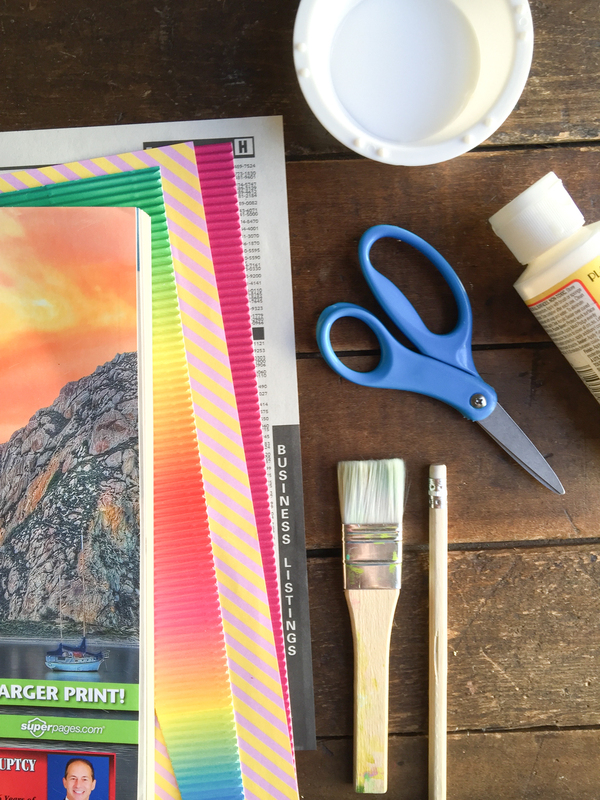 You can use anything: patterned paper, kids old artwork, phone books, newsprint. This time we also had some corrugated cardboard which was a huge success (you can find it on Amazon or your local craft store). 1. 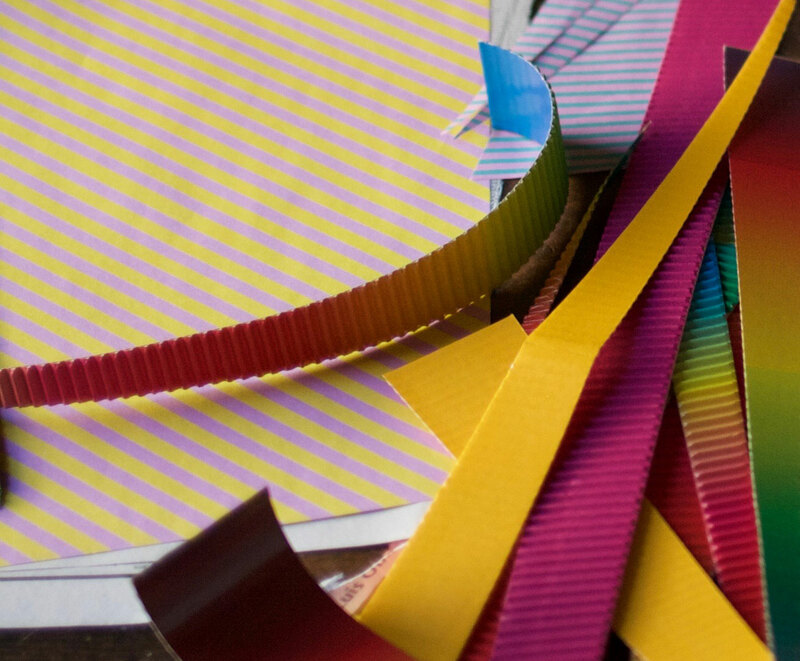 Cut your paper into long triangular strips. Different sizes and dimensions will make different shapes of beads – a standard skinny triangle will create an oval shape, one with two triangles like the one above will make a double bead with two bumps (we called these ones twinsies!). It’s fun to try different things and get the kids to guess what they’ll end up looking like. 2. 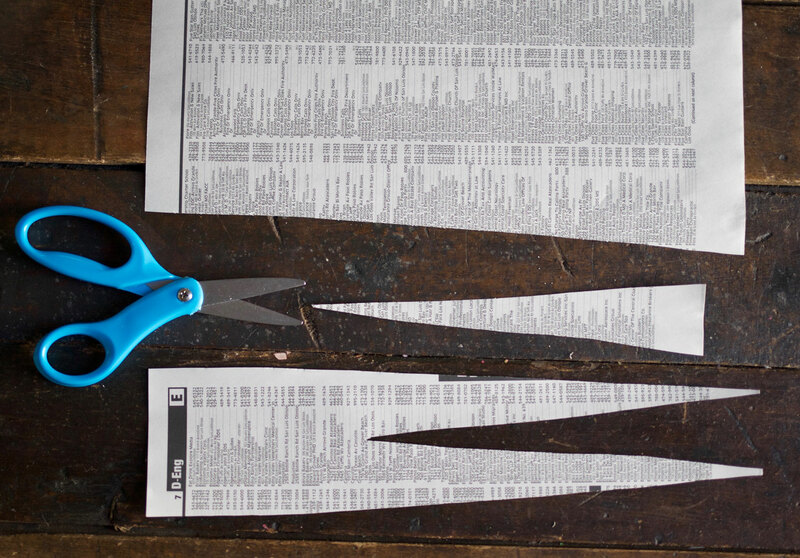 Take the wide end of your paper strip and begin to wind it around the pencil tightly. 3. Once it’s gone around once, add some glue to the bottom of the strip and continue to wind it, holding tightly and adding glue as it goes around. Depending on the age of your kids, it’s helpful to collaborate at this stage*. 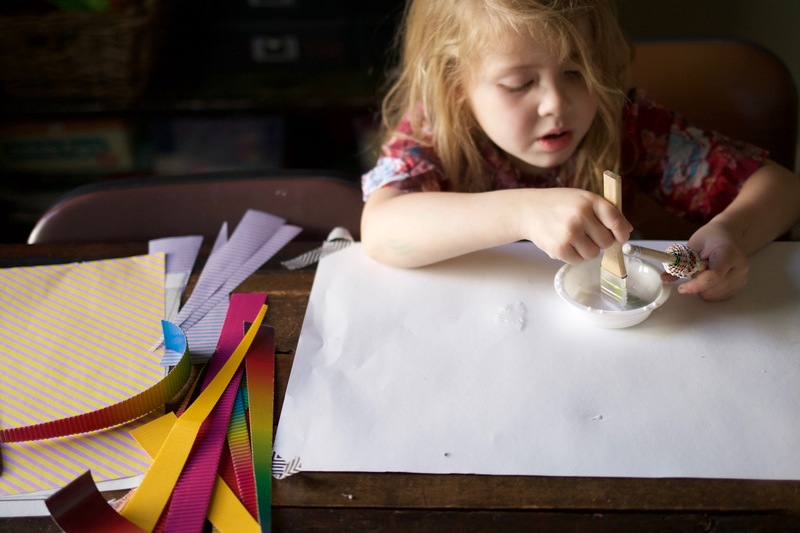 We found that the thicker corrugated paper winds well, but is tricky for little hands to manage while turning the pencil themselves. *Disclaimer: if your kids don’t like getting glue on their hands, you’ll likely be the messy one here. 4. 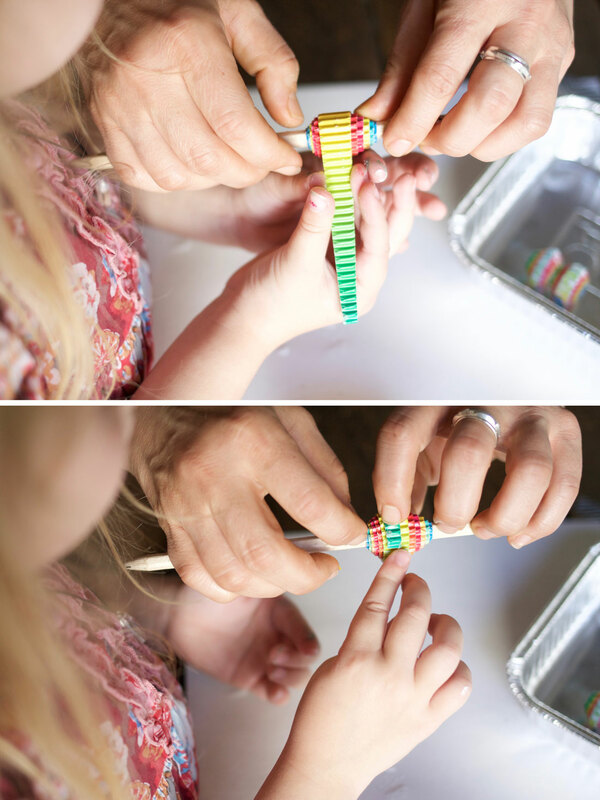 Once the entire strip is wrapped around, add a layer of glue to the whole bead and then carefully slip it off the pencil and onto some wax paper or parchment to dry. The different materials create totally different beads. We used a couple strips, one after the other, to build up the bead with the newsprint because it was so thin. I think it is really pretty to paint these ones with watercolor but Ella overruled me this time (she wanted them to stand out against her rainbow colored beads and good luck going against her creative vision). At this point, you could paint a coat of gloss medium over the beads to make them shine (or use glitter glue if, like us, you can’t escape any opportunity for sparkles when it comes to crafting). That said, you’ll get full credit (and a virtual high five from me) if you skip that step and move straight to stringing them up and tying them on. Ella added a few other beads we had around to break the necklace up and make it look more like something a queen would wear. And I must say, I think it does look quite regal (if you really squint!). p.s. Find more cute craft projects over on Mo’s Pipsticks blog. I have been creative since my childhood and the credit goes to my mom who always has come up with different, unique ideas to engage my little curious mind using stuff easily available at home. 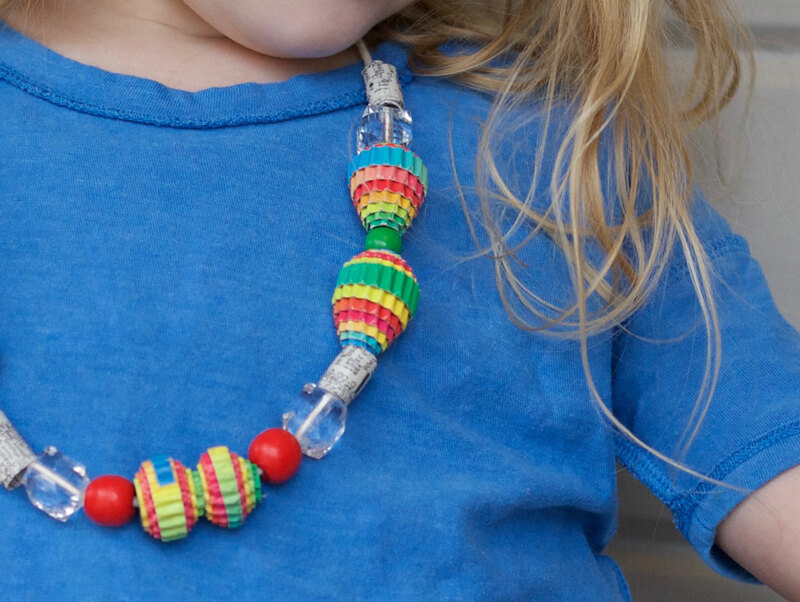 I really want to give this inheritance to my daughter, as I have come across to this fantastic blog which shows to make really trendy and inexpensive necklaces engaging your little one’s hands. It’s a fun one, Christy. And I’m always a fan of crafts that have a nice end result as well! Good luck. 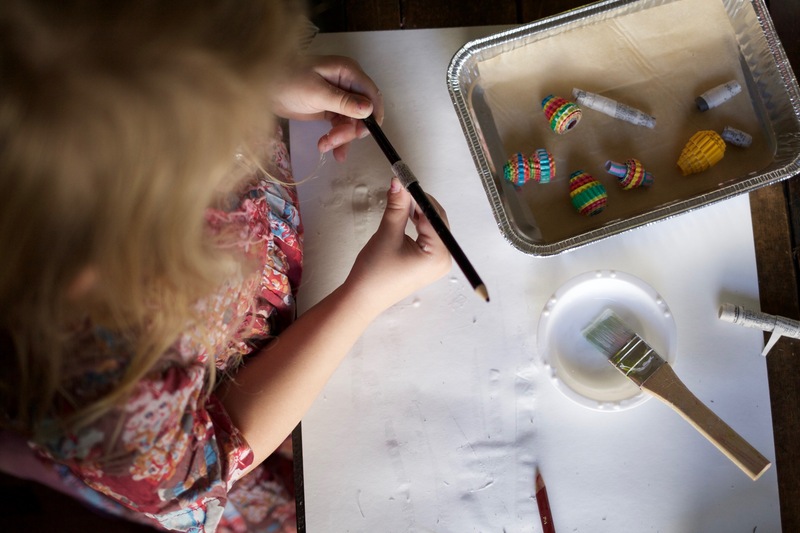 Making beeswax candles -- a lovely holiday craft (and a perfect gift)! 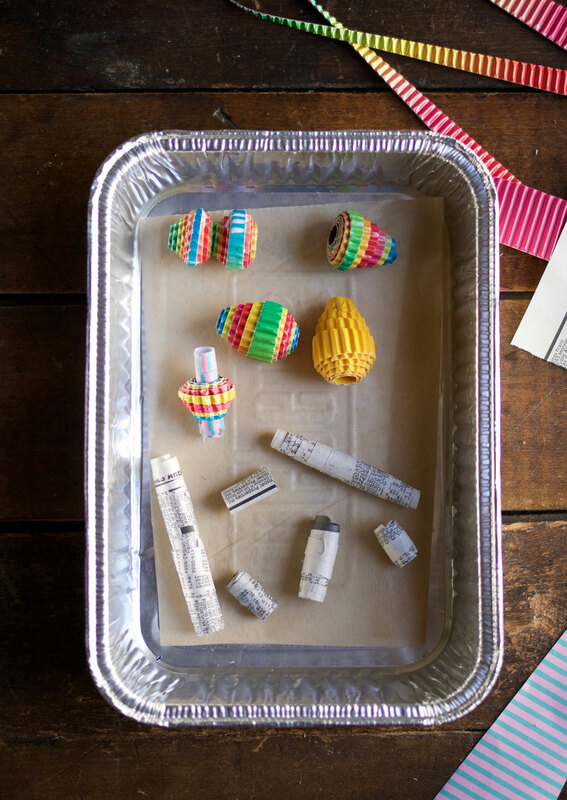 Cotton TwistCraft activity kits & party bags: engaging & fun!